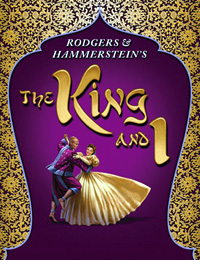 The King and I has captured the hearts and minds of millions with its charming story of the British governess brought into the court of Siam to tutor the King's many children. Once within the splendor of the Royal Palace, Anna and the King grow to understand one another and learn about each other's cultures. This unique love story is told with one of the most glorious and unforgettable scores ever written. The much-loved songs and sweeping melodies from the show include: "The March of the Siamese Children," "Getting to Know You," "I Whistle a Happy Tune," "Hello Young Lovers" and the unforgettable "Shall We Dance."